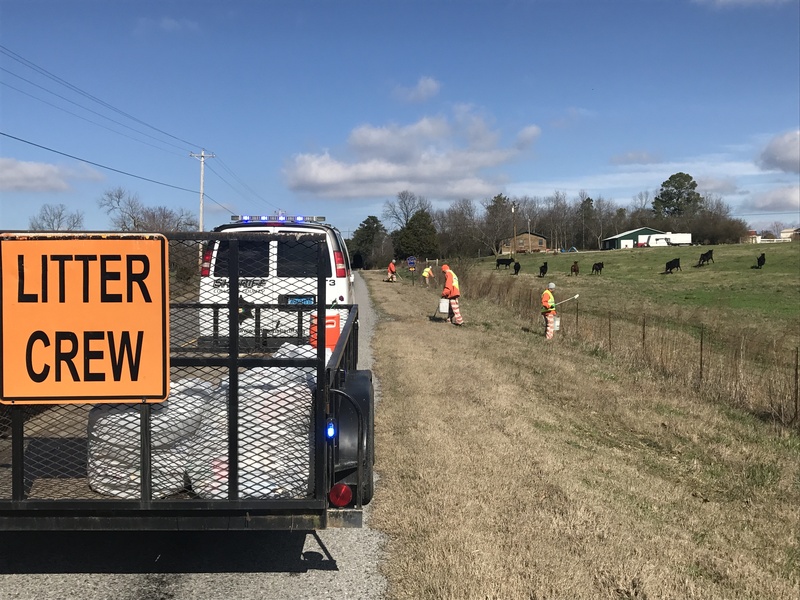 CULLMAN – Pretty weather and warm temperatures are back in the forecast and the Cullman County Inmate Trash Detail, being supervised by a Cullman County Sheriff's Deputy, has begun picking trash and litter up on Cullman County roads. In just three days, the inmates have picked up more than a ton of trash including bottles, paper, tires, tarps, plastic and much more from County Road 1742. "This program helps keep Cullman County beautiful; it also gives non-violent inmates something productive to do for their community besides just sitting in jail,” said Cullman County Sheriff Matt Gentry. “I also hope that if someone is driving down the road and thinking drugs or a life of crime is something they want to do, then if they see those inmates picking up trash they just might have second thoughts." The sheriff’s office already has a list of several roads where inmates will be working, but they’ve also set up an email where citizens can report roads that need attention: trash@cullmansheriff.org.